Time was a quickbar wasn’t a commodity but a tactical necessity. BioWare’s own Neverwinter Nights had 36 slots available for items and abilities via the various nooks and crannies in its UI. But since Star Wars: The Old Republic went free-to-play the humble rectangle has been used, in absentia, as a carrot to tempt new players toward subscription. Fortunately BioWare have relented somewhat, and are now planning to grant ‘Preferred’ players another two bars to lord over their free-playing kin with. Preferred status is lavished upon ex-subscribers, as well as free-to-players who’ve spent more than $4.99 in the game’s store. It originally came with a host of minor improvements, but more quickslot bars were not among them. “Originally, the second quickslot bar was part of preferred status, but based on feedback here and what they were seeing in the community we decided to give it to everyone,” said BioWare last month. The same apparently holds true for Preferred players, who must feel superior to their penniless brethren. To that end, BioWare plan to upgrade them to four quickbars in a patch due next week. “We’ll have more details for you – including information for Preferred Status Players that have already purchased extra Quickbars – once the change goes live,” said BioWare online community manager Joveth Gonzalez. 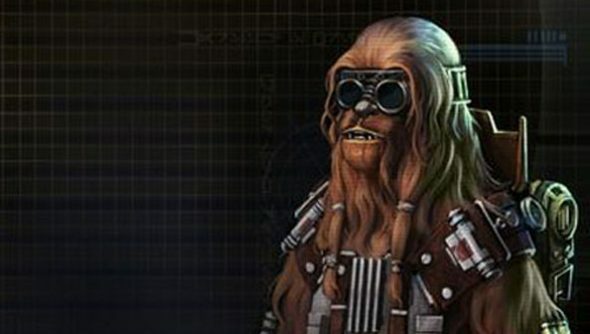 Here’s what else SWTOR free-to-play players don’t get. What they do get is the entirety of the game’s class quests and story – the real meat of SWTOR. Is it just me who squirms at the mention of ‘Preferred status’? You there with the cash – you’re special. No, really you are. Here, let me pat your head.